Sea Isles of Bonita Beach. is located at Hickory Blvd, Bonita Springs, FL 34134. 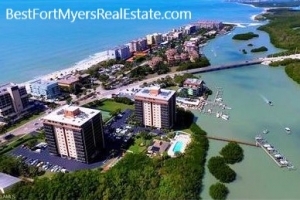 This condo complex is located right across from the beach and resides right on the back bay. Beautiful views of the Gulf of Mexico and Estero Bay. It is just a short skip and a jump to the shopping on Fort Myers Beach. This luxury high rise condo building is the perfect getaway from those winter blues! Amenities include , a community room, BBQ Grills, Shuffle board, a very humongous pool and Tennis courts! Close to shopping and great restaurants.